World-class sales organizations treat sales training like a university experience. Find out how to build a world-class training program for your organization and build your own sales university. 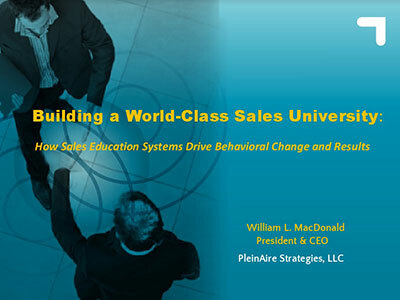 Download Building a World-Class Sales University: How Sales Education Systems Drive Behavioral Change and Results. Fill out the form below to download the presentation.